Hermosa Elementary School held its annual spelling bee for students in grades 3-5 Tuesday. Finishing in second place was Jadon Mauldin, a fourth-grader in June Willmore’s class, followed by Javier Rodriguez in third, a fifth-grader from Krystal Craft’s class. 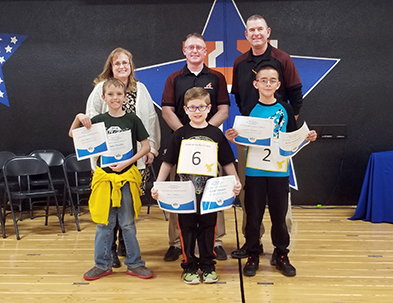 Other participants in the bee included third-graders Arianna Gomez and Marlyn Corza; fourth-graders Sophia Cruz and Joel Sotelo; and fifth-graders Taylor Salter and Josiah Deason. Clemmons will now move on to represent Hermosa, the Artesia Public Schools, and the city of Artesia at the Southwest Regional Spelling Bee in March in El Paso, Texas.